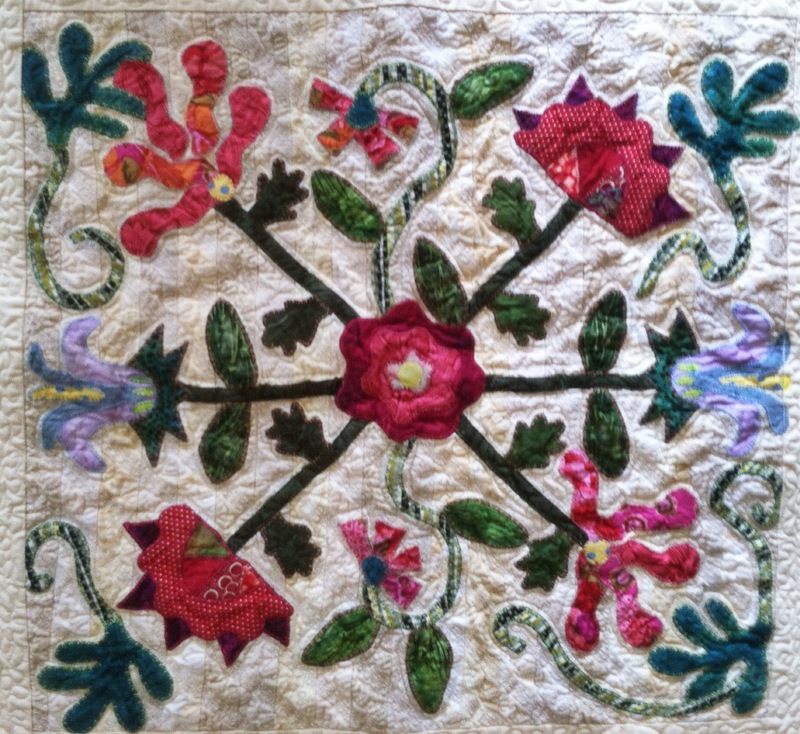 This is a photo of an appliqué quilt I had made a while back, it’s actually the center of a medallion quilt. 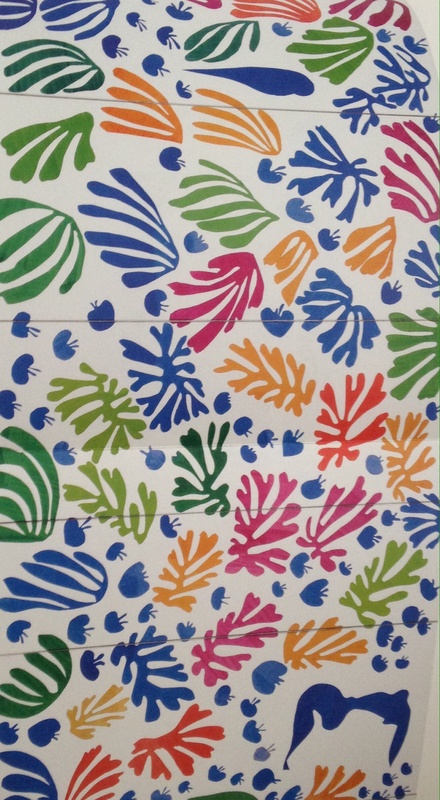 I loved cutting out and playing with these whimsical shapes at the time. It was like making a fantasy garden.I appliqued my floral arrangement on a strip pieced fabric in low volume fabrics. On top of this again using a neutral thread I explored some of my fancier machine stitches to create a sort of texture. I am reflecting on these kind of shapes because I think we all inherently have a few shapes that we like to repeat over and over in our repertoire .I recently went to the Mattisse show at the Museum of Modern Art in New York. It was a really great show of his cutouts. These reminded me so much of what I enjoy doing myself. 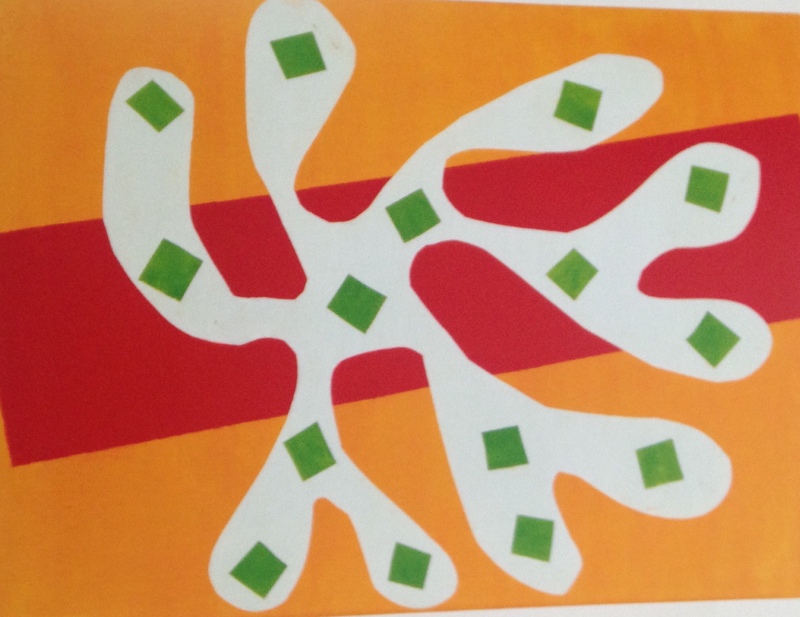 Shapes I love to repeat and of course modern quilters of today and our use of solid colors. Here’s a little gem, it’s not very large but the shapes, the minimal use of colors and the texture really reached my sensibility. Here’s another rather enormous collage that is just beautiful, my photo has been turned vertically, but it’s actually a horizontal mural. Thought I would share all these with you, and my thoughts for todays blog . It’s beautifully snowing outside today and I feel I will be able to steal away in my studio and get another border stitches on my current quilt top, so hurray for the snow day! 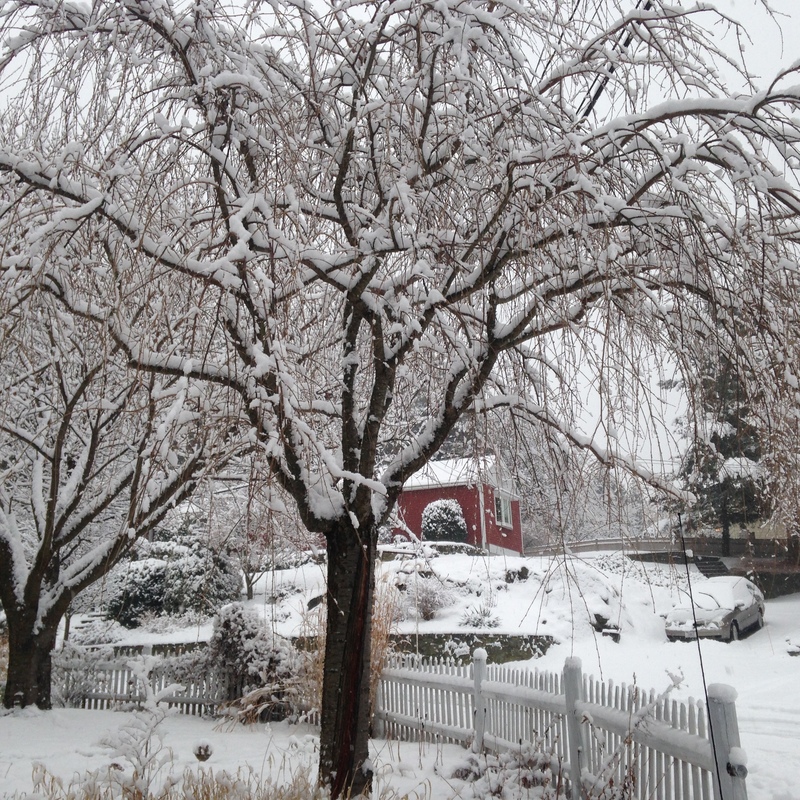 My weeping Cherry Blossom tree is all coated in pretty whiteness! Hope you are all enjoying your day, and thanks for stopping by my blog! Oh Pam, thank you for the snow pic. I love all pics of snowiness as we don’t get that stuff here – and it’s currently Summer and hot! Hope you enjoyed your day in the studio. Thank you! I have enjoyed it, though summer is my favorite!Got lots done here today! Thank you! I did enjoy the studio time! Please send some of that summer warmth this way! More snow tonight coming our way! Just as I expected – modern and contemporary looking with old world charm. Thanks for following my blog today!